Over the last week, we have extensively covered the showdown at the Bundy Ranch in Clark County, Nevada; today, things took a turn for the worse as militia from around the country mobilized and started making their way into Nevada. The showdown started when Federal officials sent in Armed BLM agents to steal Cliven Bundy’s cattle, and in the process closed off over 600,000 acres to the public. This land, which is used by hunters and fisherman throughout Nevada and Arizona, has been officially closed down by the BLM, who says it will remain closed until at least May 12th.But many in the area are warning that this is about much more than just Cliven Bundy and his cattle. In fact, many people believe it could be about stealing mineral rights and handing the land over to oil shale development. 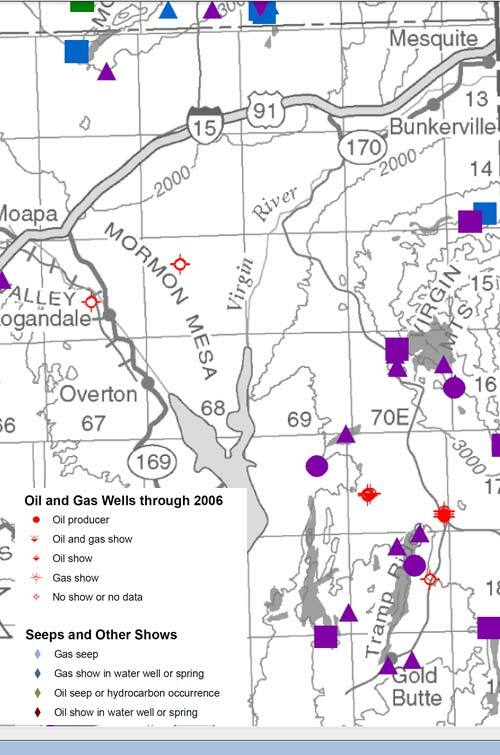 According to documents from the Nevada Bureau of Mines and Geology, over the last couple of years, a number of exploratory drilling sites have been set up within the closure zones. Whether this is about oil, or yet another attempt by the feds to limit State Rights isn’t really clear at this point. 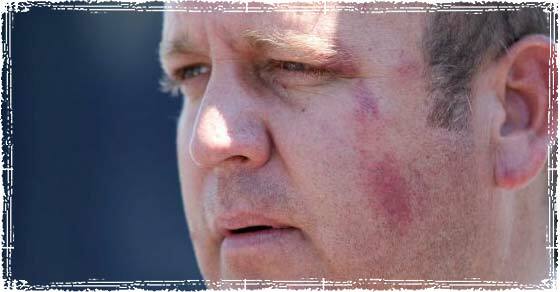 What is clear, is this is much larger than the Bundy family or their Cattle. 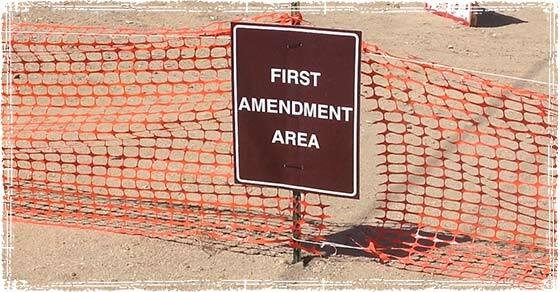 In the process of shutting down the land, the BLM has suspended Free Speech in the Area and has actually setup so-called free speech zones miles away from the ranch. That’s right, the federal government has actually banned free speech on over 600,000 acres of public land. Over the weekend, while attempting to document the theft of his father’s cattle, Dave Bundy went onto his father’s land to take pictures of the cattle roundup. In the process, he was confronted by armed BLM agents who threatened to arrest him. BLM attempting to regulate area farmers and ranchers out of existence. Cliven Bundy is actually the last of 52 ranching families in the area. Over the last couple of decades, the BLM has systematically regulated these ranchers out of business; canceling permits and laying claim to large areas of their land in the process. Local farmers are warning that this is likely to spread into Arizona and Utah, and voiced their concerns at a Townhall meeting in Moapa, Nevada last night. 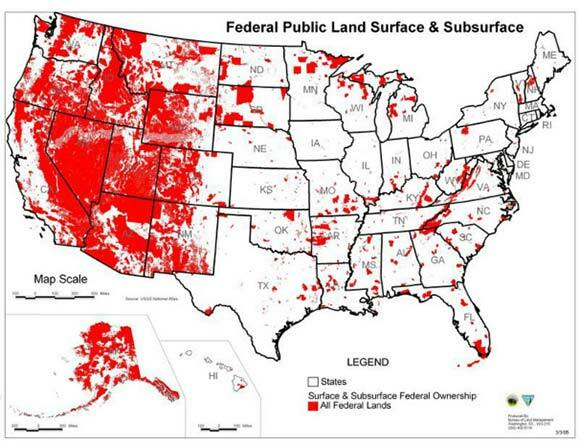 Map illustrating how much land the Federal Government has claimed ownership of and has essentially stolen from the States.